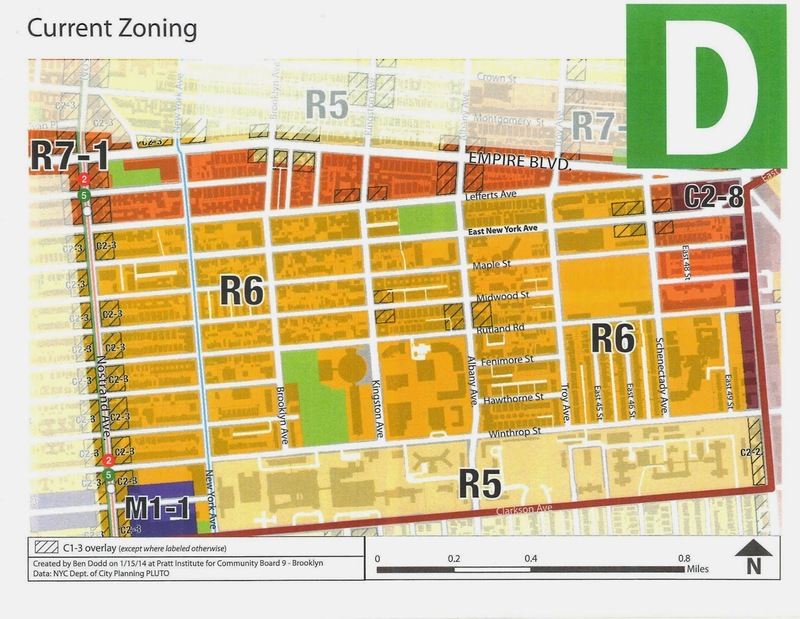 In preparation for next Monday's town hall meeting with the Borough President, I thought it might be worth sharing what I've learned about zoning. Oh how I wished Community Board 9 weren't situated so that I'm in the lower SW corner. It kills me that I can't present these maps centered around m'beloved Q so as to show Caledonia in all her glory as well. Alas. This is the hand the Q has been dealt. 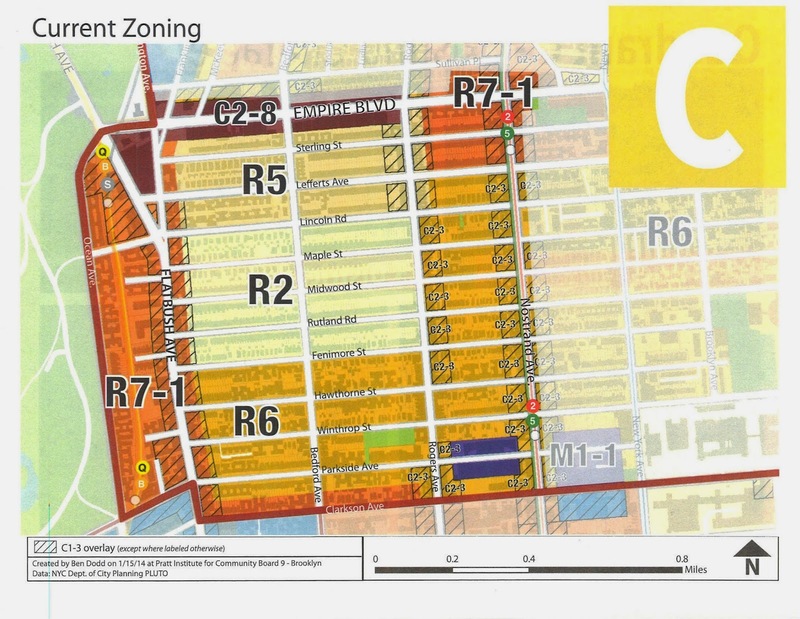 CB9's wonderful intern Ben, from Pratt I might add, has done us the enormous favor of inputting all the zoning for the district. Below you see all of CB9 in her glory. You'll note that most of the district is R6, with Lefferts Manor showing R2 with a smidgen of R5 above it, and then other R2 zones up near Eastern Parkway - the beautiful freestanding mansions on Carroll and President. The area that's R4 to the east of that is a major concern to the Orthodox community, as I've discussed in more depth here previously. There's actually quite a bit of R7-1 along Flatbush/Ocean and Nostrand and parts east, the very distinction that led to the planned 23-story tower at 626 Flatbush. 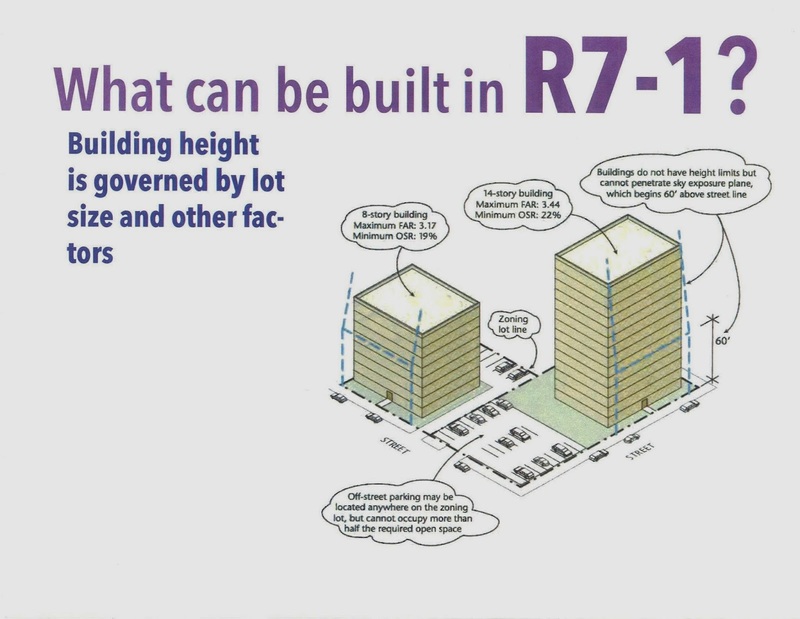 For the purposes of this Town Hall meeting, R7-1 is the name of the game, since there's really no limit to height you can build, if you have a big enough footprint. 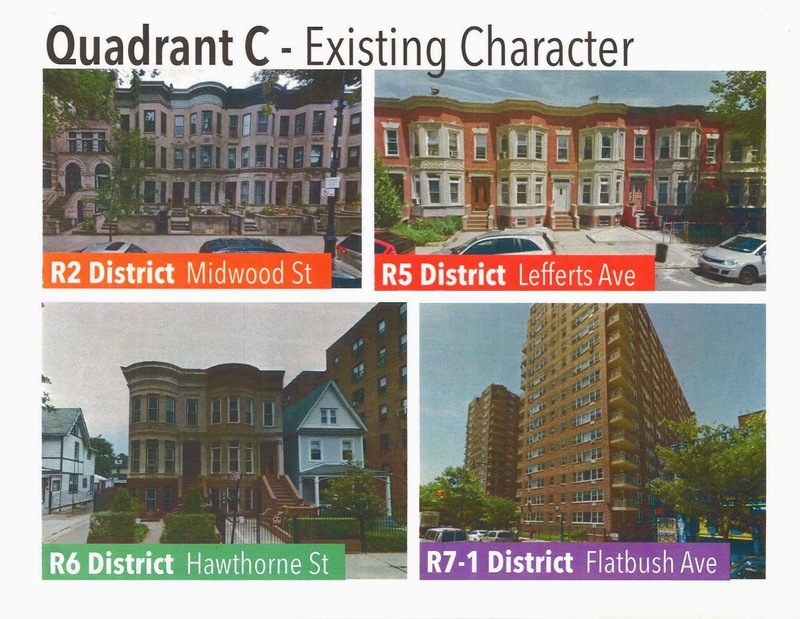 Below is the blowup of "our" quadrant, as in Lefferts, and you can see that the junky C2-8 distinction of Empire Blvd has ensured that the stretch from Flatbush to Rogers has stayed fast food and storage etc. The Q happens to reside in a big fat chunk of R6, which too has few restrictions on height if you have big footprint.The building going up at 50 Clarkson, for instance, could go quite high and block the light of tenants living on either side of it, save a covenant from the previous houses that supposedly limits the height of the middle of the three Victorians that were razed. We'll see how that one turns out, perhaps after a bit of a scuffle. Geez, it seems you can't walk ten paces without running into a real estate battle around here. 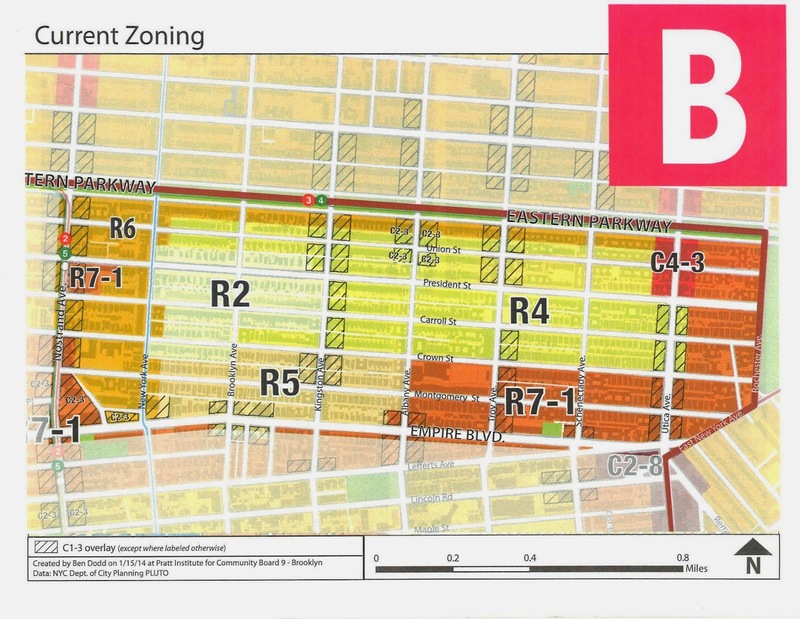 In our beloved Quadrant C, the "existing character" of the neighborhood can be described in terms of zoning. Current zoning dates to 1961, which I'm told happened AFTER Patio Gardens was built. 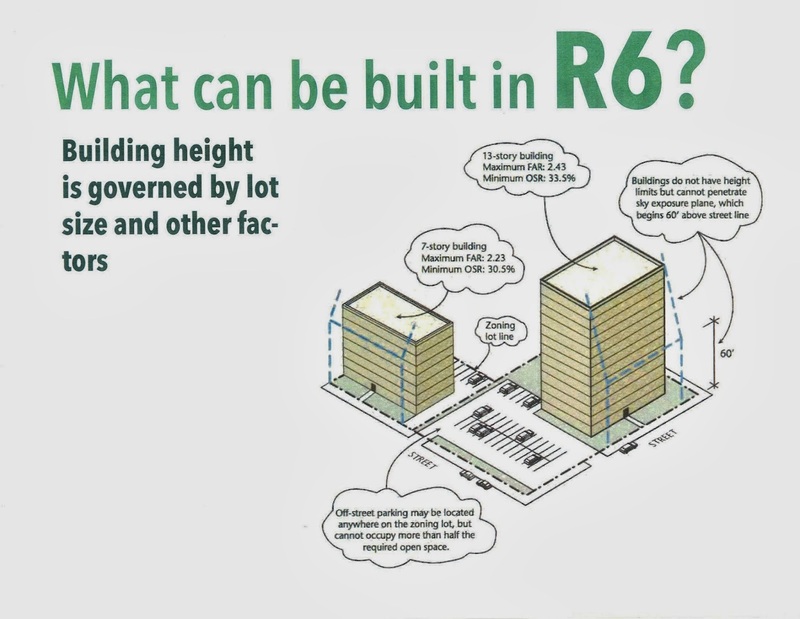 If that's true, R7-1 was likely given to this stretch to bring Patio Gardens into compliance. Before I go too much further, want to see the original brochure for Patio Gardens? Of course you do! And how about a hilarious video from a couple years back announcing apartments for rent at the very one and the same? The music alone is worth the price of admission. Which, by the way, is a click of your mouse. Sorry. Got sidetracked there. Below is what sort of thing you can build in the various zones. Then some maps of the other quadrants. 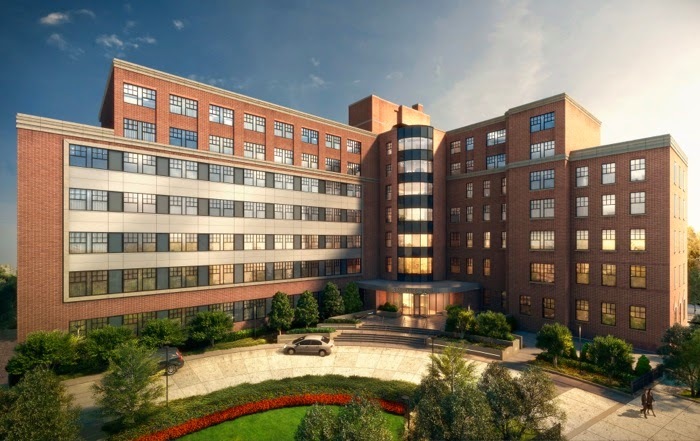 According to Curbed: 161 units. Gym. Recreation Room. 83 Parking Spaces. According to the Q: Gorgeous Neo-Icktorian Architecture. I wonder if longtime parishioners were given a piece of the action, or if it all goes to the Vatican? Would be nice to think that after a lifetime of tithing you'd get a little kickback. Lots of Good Stuff Happening at New Coffee Joint "Bles#ings"
"Hey, me and Fig found the perfect place." Blessin#s is such a charmer! (I leave out a letter so as not to incite religious spammers - I learned my lesson). Fresh flowers for sale in the front, a mean cup of coffee, and last weekend brunch. Lily and all her staff are super sweet. William creates homemade herbal tinctures (is that considered homeopathic?) and fresh herbal teas with his mortar and pestle. No kidding folks. You can get teas made to order. 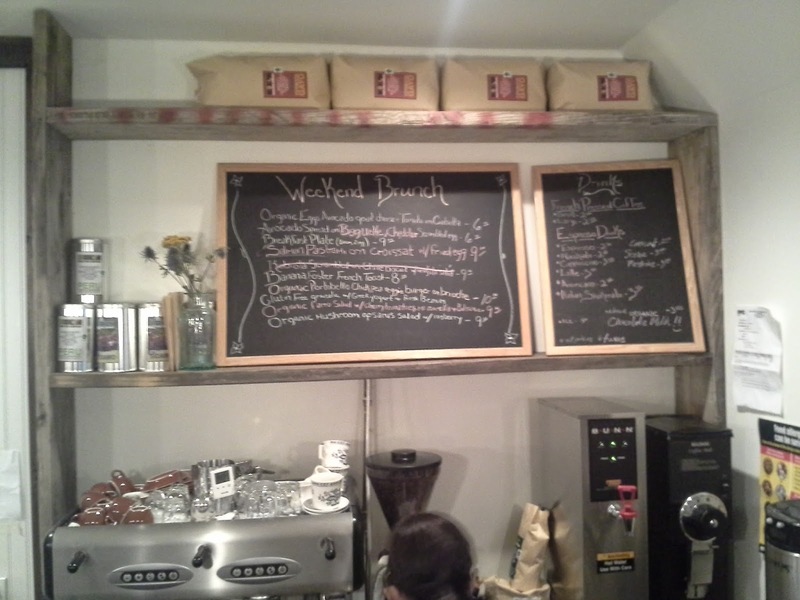 Last weekend the brunch menu was up. Here's a peek - if your zoom is good you should be able to read the offerings. They're pouring their life into this business, and it shows. Why not let them pour you a coffee? 663 Flatbush, open early. Craft Beer Bar Next to Phat Albert's? "Walked into Brooklyn Beer & Soda a few weeks ago for a growler and talked to the owner for a while and mentioned pretty much the identical thought K&D posted . He told me he has plans to open up a craft beer bar in the space next door that was a pawn shop for about 3 minutes." Well now. That WOULD be something, wouldn't it? As a guy whose last beer many years ago was probably a tall-boy Coors in a brown paper bag, what exactly happens in a Craft Beer Bar? Is it some sort of Origami & Lager Lounge? Is pottery involved? I picture a bunch of guys sitting around with their brewskies, scrapbooking and giving each other high-fives. Frequent readers of the Q will know I'm a big fan of Desmond Romeo and his oft-hopping Dr. Cuts barber shop. Well, the NY Times finally caught on. What a wonderful piece on his brand of health-advice/styling-salon. And it's a great reminder of what a unique thing we have here, this special slice of Lefferts - world headquarters for African hair care. Full disclosure: Desmond gave me my latest haircut. Full disclaimer: it's grown out, meaning you can't really blame him anymore. Congrats, Mr. President of the Flatbush Empire Merchants Association. Hope this doesn't mean your prices are going up. Where the hell else am I gonna get a haircut for less that $15? “He’s really been there to give input on how to improve the health of the people,” Mr. Camilien said. 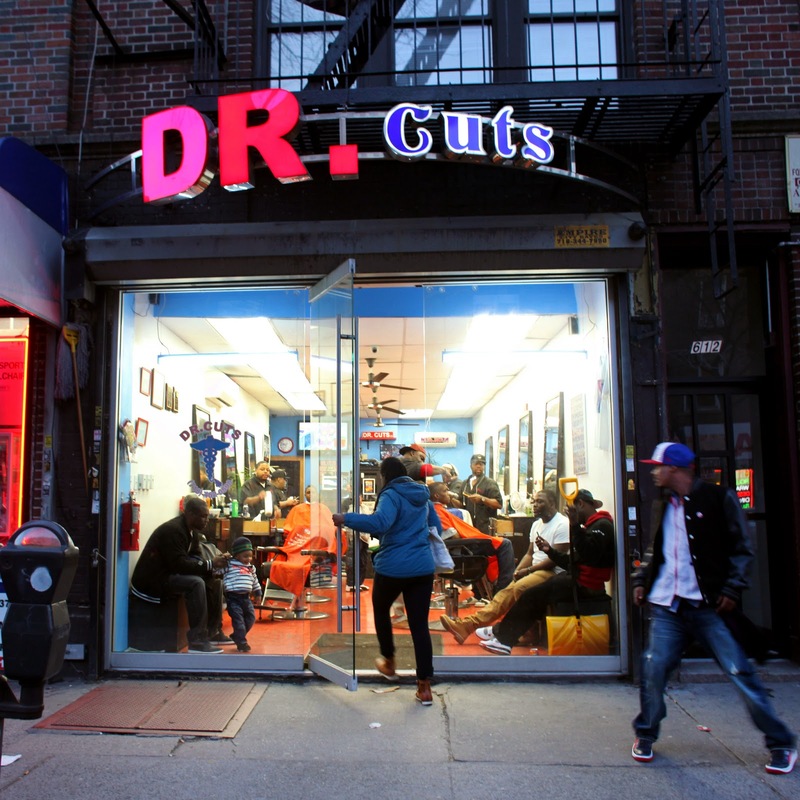 Mr. Romeo, who also leads a new merchants association for this stretch of Flatbush Avenue, has arranged for a holistic practitioner to come to Dr. Cuts on occasional Friday mornings to discuss natural detox treatments with customers, many of whom come in after working night shifts. To Bikram or Not to Bikram. That Is the Questionkram. It’s been a long winter here at Bikram Yoga Park Slope, because we’ve been biting our tongue. But not just planning – we’ve been busy gutting, sawing, nailing, measuring, framing, installing, building, sheetrock-ing, painting, sweating, toiling, and getting really excited to unveil our big secret. And now it’s finally time! 11 Lefferts Ave was designed with the best features from both BYPS locations (plus some new surprises), culminating in our grand masterpiece: ample but cozy yoga room, large windows, wood floors, spacious changing rooms and a sunny lounge. It’s everything you’ve been asking for in your yoga studio, and everything we’ve always wanted to give you. It’s an honor to serve the Park Slope community, and for 11 rewarding years we’ve watched your yoga practice grow and transform. Now we’re proud to make the transformation with you; expanding the reaches of our community to Lefferts Gardens and improving our current studios to help you reach even new heights in your yoga practice. To celebrate our grand opening, we want to honor the commitment and dedication of our students that have sweated with us for all these years. To honor YOU, we are offering improvements to our current studios, better class packages, and more specials – to give you even more value and support your journey. Stay tuned with us to get the latest on finishing touches on Lefferts Ave, grand opening date, catch our spectacular upcoming specials, new classes, new website, and more ways to welcome in spring with some new heat! 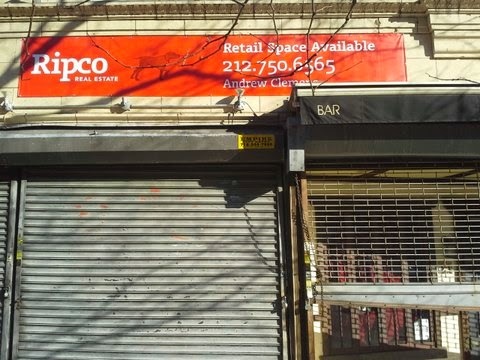 For those too new to remember, our new Borough President Eric Adams used to have his State Senate office where the hardware store is now, just north of Patio Gardens apartments. That's where the Q first met him, and I've been impressed with his focus and intelligence ever since. He takes his new role very seriously, and seems to know that all eyes are upon him. 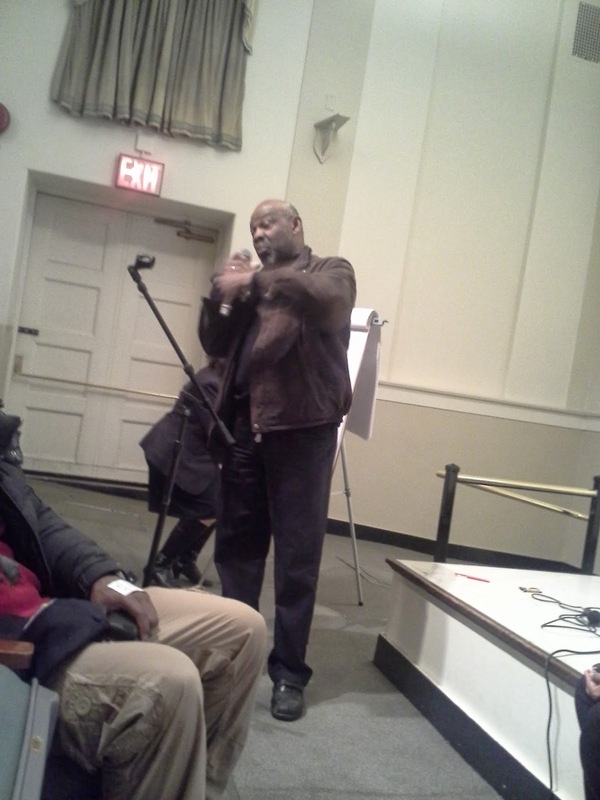 After watching the Prospect Park East Network get up and going, I gave him a shout and asked for an audience to hear the group's concerns. A bunch of us headed over there, and after Celeste Lacy Davis gave a thorough reading of the group's grievances, Eric made a clear request. He wants to hear what the WHOLE community thinks about development in the area, not just a select few. When told PPEN had 1,000 signatures asking for a halt to out of context buildings, he said great. But what he really needed was to take the temperature himself. Thus, a Town Hall meeting with BP Adams at the helm. Much more surprising was the sign offering up Lincoln Park Tavern for rent. Seems like things have finally come to a head with landlady Rong Ge. And so it appears Jim's heading for greener pastures around the corner next to the soon to rise Tom Anderson apartment building, perhaps seeking a situation involving "less green" for the pasture. We'll see who snaps up LPT. For quite some time Jim's been looking for "key money" to take over the lease. Maybe the lease is finally up? I would definitely look for another restaurant/bar to take its place, since the joint is built out for cooking. We'll see. So...what's up with that Armory, anyway? Last night before the Community Board meeting, a group called the Community Armory Committee (CAC) was at the door collecting petitions calling for the withdrawal of an RFP to develop the beautiful Armory just north of us at Bedford and Union (not to be confused with the one up the road near Atlantic). 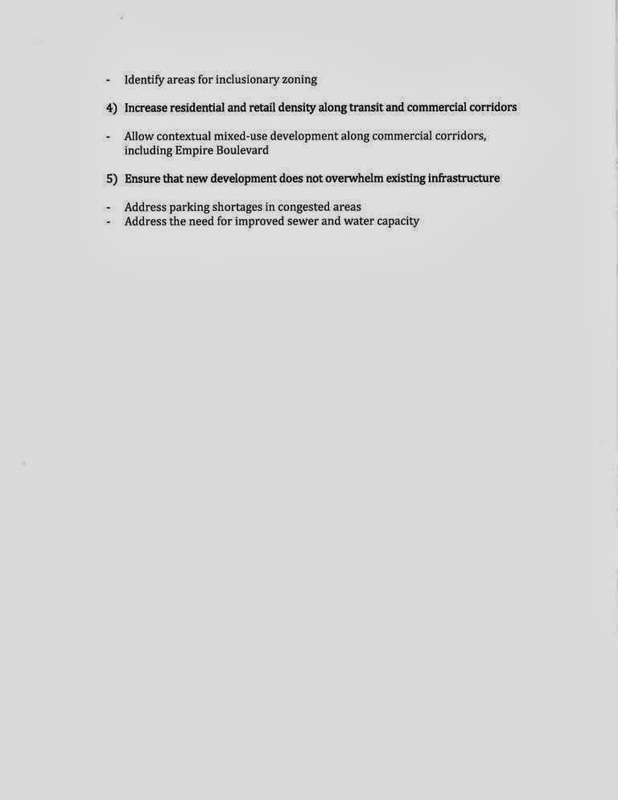 The RFP was created in response to community input given to a group from NYU that distilled that info (mostly from a forum at Medgar Evers awhile back) and gave it to the NYC Economic Development Corporation. Sounds good, right? Well, CAC thinks the RFP was premature, and they're worried that the development will cost the community in ways yet unforeseen. 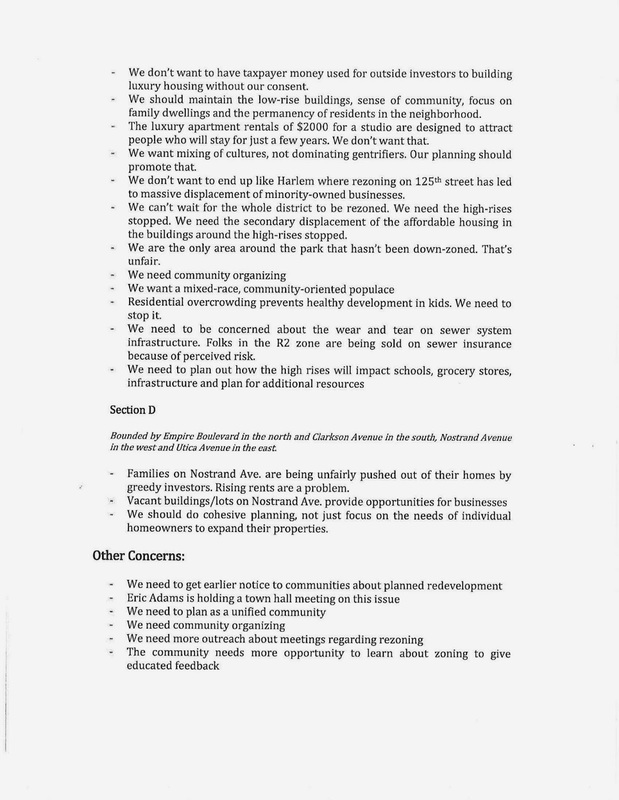 Since the goals "on paper" seem to be pretty good sounding, I'm wondering if CAC has a sense of history on these sort of things, and is concerned that private developers might talk out of both sides of their mouths. Usually in these things some sort of public/private partnership is preached, which means some aspect of the project make money and others don't (the stuff for the community) and you hope it's a wash.
To be honest, I don't know how I feel yet. I'd like to see the proposals that have been received, since the RFP is closed now, so they're all in. Personally, I don't know how a community group or small non-profit could run that thing effectively, but maybe the right partner is out there. Any ideas? New York City Economic Development Corporation (NYCEDC) today announced a request for proposals (RFP) to transform the vacant Bedford Union Armory in the Crown Heights section of Brooklyn into a facility that will anchor the neighborhood and become a valuable amenity for local residents, while also preserving the historical character of the Armory. 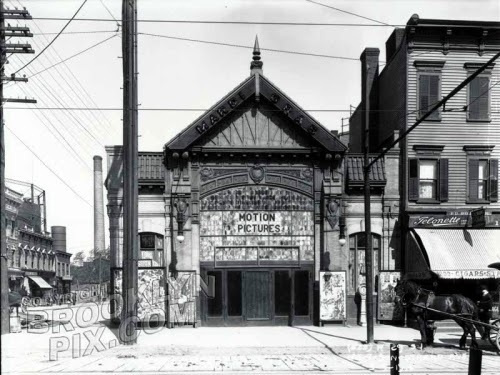 The easily accessible site, located in one of the most diverse neighborhoods of New York City, was built in 1903 and contains 138,000 square feet. The building was in continuous use from its opening until 2011, and in August 2013, the State relinquished use of the Armory to the City. The RFP seeks respondents whose proposals will meet community needs and ensure the future success of the Armory within the Crown Heights neighborhood. "The development of the Bedford Union Armory is a vital centerpiece of the economic rejuvenation of the Crown Heights neighborhood," said Assemblyman Walter T. Mosley, who represents New York's 57th Assembly District. "By providing new valuable community space and resources, the Bedford Union Armory will help define the character and principles of central Brooklyn for the next generation. I look forward to working with the New York City Economic Development Corporation and my partners in government to ensure the smooth and fair development of this important site." Expand quality jobs for local residents and maximize permanent employment opportunities for the City’s local and disadvantaged residents through participation in the HireNYC Program, a free program that connects the City's workforce development services to economic development projects. One or multiple developers may be selected to develop the site, and it is anticipated that a designation will be made by spring 2014. Proposals must be submitted by Thursday, January 23, 2014. 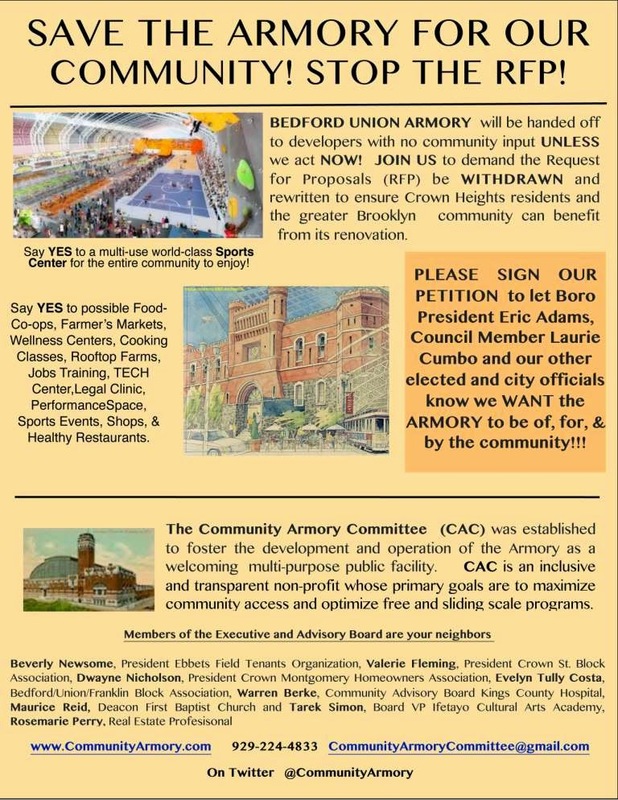 In 2012, Brooklyn Borough President Marty Markowitz initiated the Bedford Union Armory redevelopment process, a community engagement and visioning process that brought together local elected officials, residents and other community stakeholders to help determine appropriate future uses for the Armory. The community recommendations included public uses such as public recreation space or a sports-specific complex. The recommendations also acknowledged that the feasibility of these types of spaces would require developing a portion of the site for private uses. 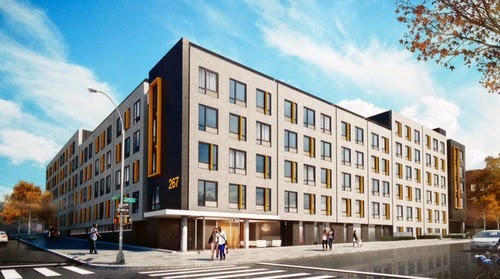 For their capstone project in 2012, graduate students at New York University’s Robert F. Wagner Graduate School of Public Service authored a report suggesting funds for operating the Armory could come from constructing apartments on the site of its one-story parking facility. In recent years, the National Guard has opened the Armory for a variety of civic functions, including events for the local Caribbean and Jewish communities. In 2010, the Armory served as a collection point for canned goods and other emergency supplies in the wake of the earthquake in Haiti. 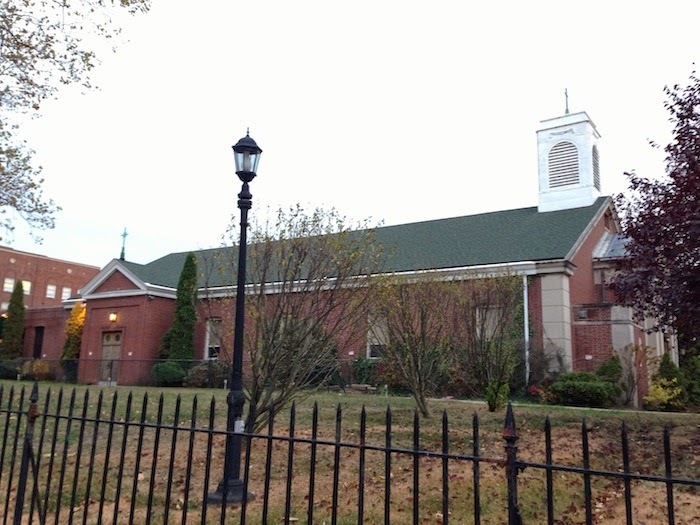 In addition, the Armory has been leased to movie production companies for set building and filming. Built by architects Pilcher and Tachau, the Armory was acclaimed as the first structure of the “L’Art Nouveau” style in Brooklyn. It's gonna be a Walgreen's. Good news? Well...there's a Rite Aid right around the corner on Bedford, but yeah, for some folks this will mighty convenient. Walgreen's now owns Duane Reade, so whenever you see one or the other they're basically the same thang. Up on the Upper West Side I recently passed two Duane Reades exactly one block from each other! Did you know that Dunkin Donuts has the largest number of locations of any shop in NYC? 515. Starbucks has only 283. Walreens/Duane Reade has 318. Subway sandwiches? 467. McDonalds just 240. Guess what beats out McDonalds? Take a second guess. Take a third. MetroPCS. Don't you love trivia like that? It makes my heart sing for some reason. Not the stores themselves. The trivia. Wonder what that's about, in humans, that trivia can provide such a lift. Thought you all might like to see what was said at the CB9 listening session at the Brooklyn Botanic Garden, which became the basis for a lot of last night's conversations at the CB9 meeting. This report is substantially accurate, though some revisions are in order. Basically, we seem to have come to some consensus about what needs changing, zoning-wise. 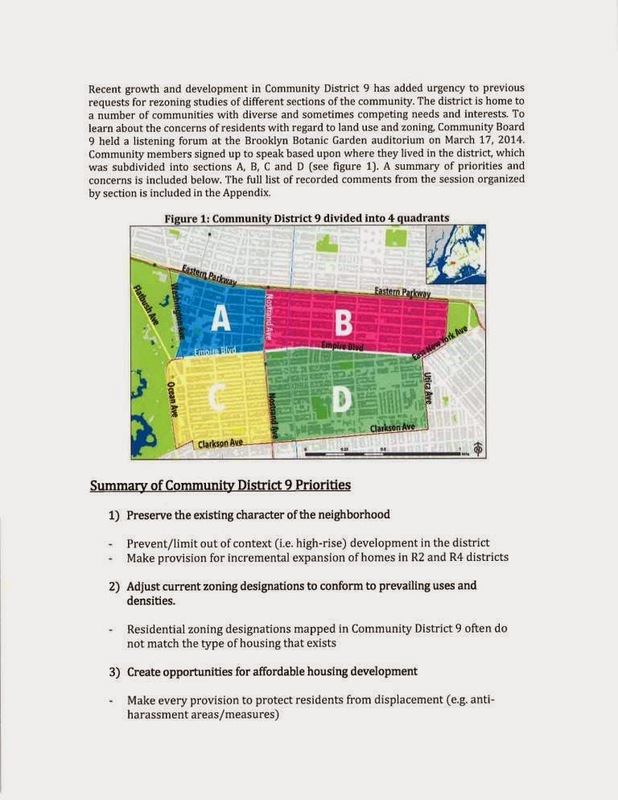 At last night's CB9 meeting there was some tension in the room, and a bit of ruckus at the end not related to the zoning issue...but we did manage to pass a resolution to the Department of City Planning that contains enough of the important points to start the conversation with them. When the exact wording of the resolution is finished, with all the changes made last night, I'll post that as well, with every "whereas" and "wherefore art thou" intact. The Q doesn't have time to go into the details of last night's meeting, but upon reflection, I don't think much of it is all that important right now. Some things were brought up that will definitely become discussions for the near future - like some residents who are very upset about Medgar Evers College's plans to close Crown Street for a campus. 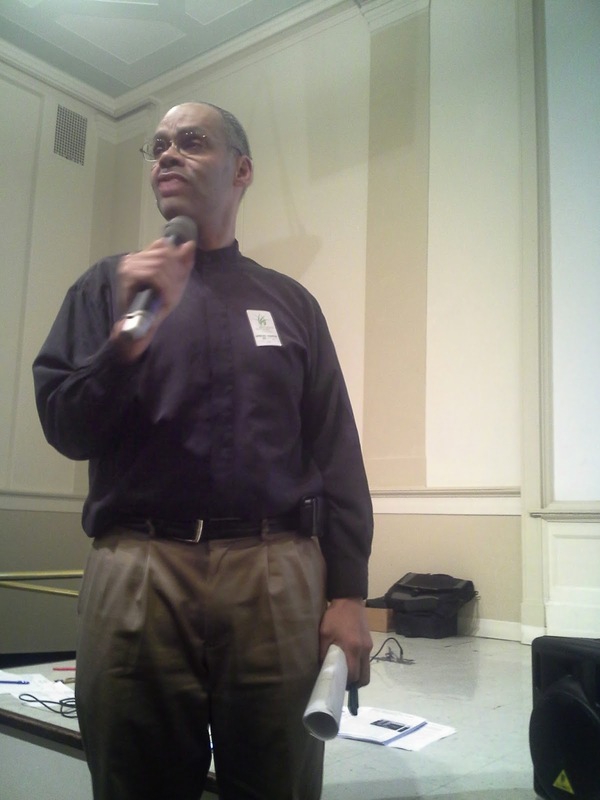 Oh, and Mr. Delson of the Parkside Committee did a smash-up job presenting where we are and where we're going. Plus, the Committee's proposal to add three benches along Parkside Avenue next to trees received unanimous support. If you have some time, I highly encourage you to read the following pages. You can really get a sense of what the neighborhood's feelings are about the current state of affairs. Holy Smokes. Look What Hudson's Putting Up on Clarkson. 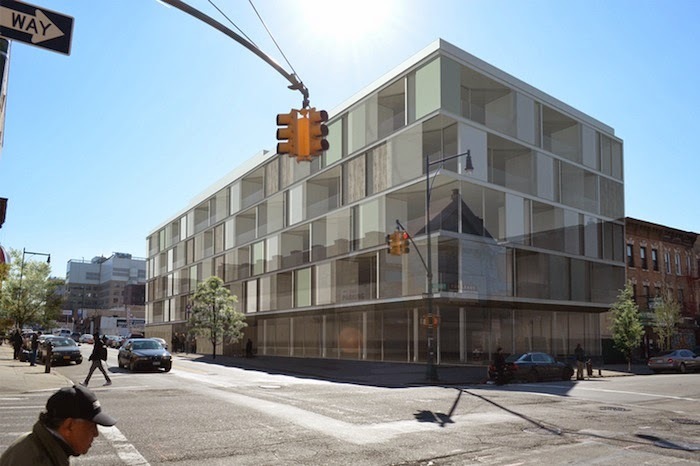 Hudson, the developer putting up the 23-story building on Flatbush, has the above planned for the SE corner of Clarkson and Nostrand, according to something called buzzbuzzhome (I'm not kidding; that's what they call it - real estate is now a spectator sport.) If I recall the building they're replacing was once a movie theater, way, way back. The inimitable Montrose Morris wrote a piece on it. Ah yes, here it is. Think the Q's off his rocker saying the conquistadors have arrived? Not so. My butts firmly planted on my rocker, and buckling up for the slaughter. And as a reader wrote, "seems like Hudson's all up in our junk." Here's the old theater and lately, not exactly her glory days. Y'all I'd need to quit my job to keep up with the pace of it all. Someone want to offer to take over the "real estate desk" so I can stay gainfully employed? By the way, they're tearing down 111 Clarkson, the old Haunted House, as I write this. Neighborhood parents will now have a private school alternative to the already kooky Public School dilemmas that plague nearly every ma and pa in the city. 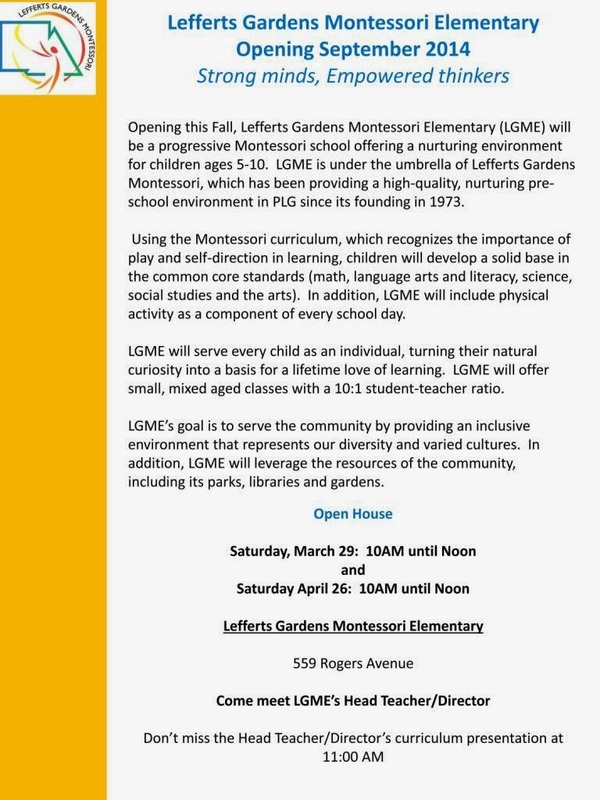 An outgrowth of the already popular Lefferts Gardens Montessori pre-K on Rogers, this school has all the makings of a fine alternative, and one that comes with the smaller class sizes that are the hallmark of the best private schools. If Montessori is your thing, then you should DEFINITELY check out the Open Houses listed on the flyer - they're coming up this weekend, both this Saturday and April 26 at the 559 Rogers location, from 10-noon. There's a bunch of great people involved in the starting of the school. There will be some financial aid available, though I'm sure it's too soon to tell how much and for what income levels. Anyway, check it out. I'm sure a lot of other "concerned parents" will be there. Don't you love that phrase? "Concerned Parent?" "I'm concerned about my kids." "I have a lot of concerns regarding the education of my children." "I'm concerned that there's too much violence in video games." etc etc. Now that we've "arrived," you can expect a lot more letters like the below. In it, you'll see that a) developers and realtors are willing to go house by house to find buildable lots and to convince residents that now is the time to sell and b) from the third picture you'll see that all of the frame houses, particularly ones with big footprints, will soon be bought and torn down in favor of the kind of construction I see ALL OVER Crown Heights. There is a favored style right now, with lots of windows and a boxy exterior - there are literally dozens of them cropping up, often just the size of one or two brownstone sized lots. Clearly it's the "Fedders" style housing of the moment, usually marketed as luxury, however. A neighbor who lives on Parkside tells me she received a personal note from a family looking to by. The letter said they'd toured the nabe (and presumably liked what they saw) and went so far as to include a picture of themselves. I guess to show that they're not a greedy real estate agent or developer? 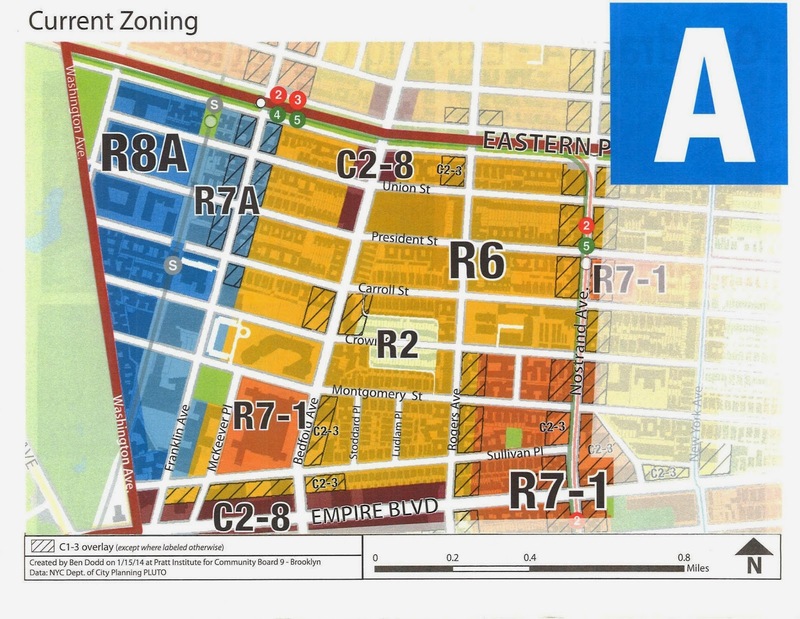 One last thing to note: on Lenox, the brochure notes that the as-of-right zoning on this block is R7-1. That, my friends, leaves an awful lot of leeway for the developer. 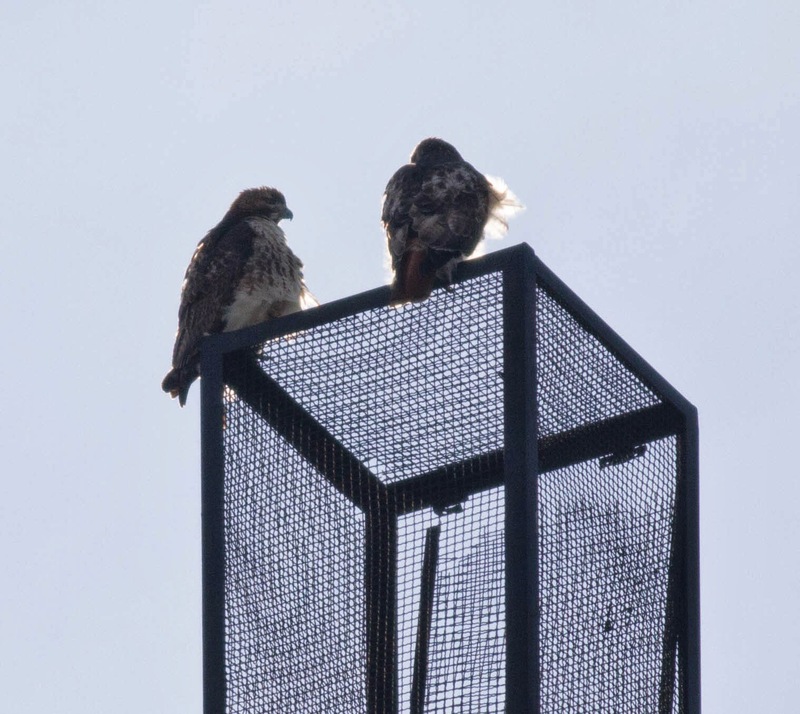 Roosting on the tall chimney cover at 160 Parkside, the tall building across from the Park, these Red-Tailed Hawks prove you can't keep a good hawk down. Ever since Pale-Male became a celebrity in the '90s for being the first hawk to successfully mate and nest in the Big Apple, dozens more have been spotted. But it's still pretty rare that they nest here. You know, making babies and all. These guys are just roosting, but who knows whether love is in the air? Gimme a C! Gimme an S! Gimmed an A! PLG CSA Summer 2014 Season Registration is HERE! Finally, the registration is ready for you! The season will run for 22 weeks on Saturdays from May 31 to October 24 from 9:30-11:30 a.m. at Maple Street School. NOTE: Due to the cold and snowy spring, there is a chance we will start a week later (June 7). We will keep you updated as we approach the start of the season. A single share will usually feed 1-2 people and a double will feed 2-4 people depending on your household. A double share is twice the amount of a single (at a slight discount). See the :share products and membership details" page on our website for more information about the share types and our farmers. 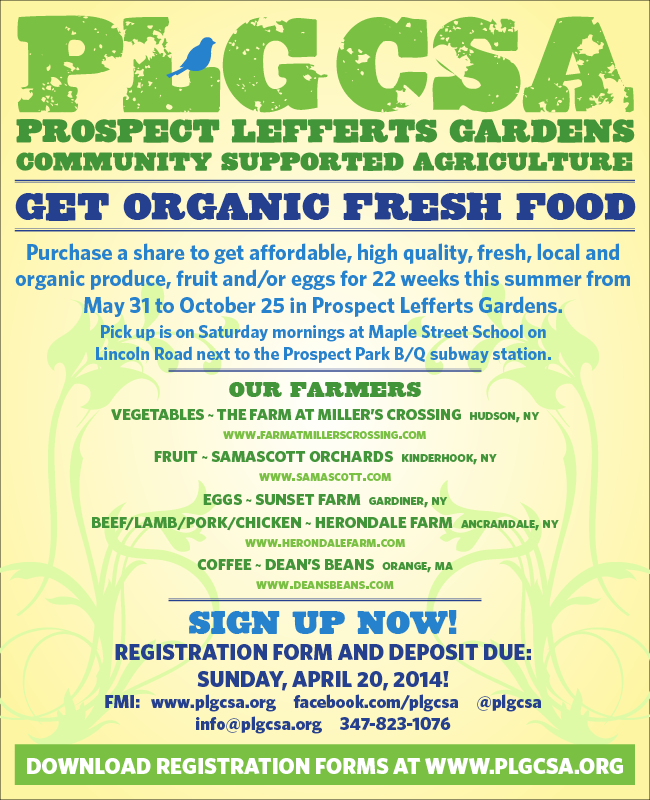 Once again, our vegetable farmer is the great Farm at Miller's Crossing located in Hudson, NY. This year we have a new fruit and egg farmers. Our fruit farmer for 2014 is Samascott Orchards, a fourth generation farmer located in Kinderhook, NY. Our egg farmer for 2014 is Sunset Farms, formerly Brookside Farms in Argyle, NY. Read more about these farms in the Registration Form. Below is pricing for shares. Read the Registration Form for more detailed information. You must be a vegetable share member in order to purchase additional share products. Vegetable share prices include a $10 administrative fee. There is no additional admin fee for the additional products. Complete details are in the Registration Form.. Initial deposit and registration is due by Sunday, April 20, 2014. Final deadline with FULL payment is due Sunday, May 11, 2014. A limited number of income-based shares are available. Please contact us at board@plgcsa.org or 347-823-1076 for more information on how to apply. PLG CSA also offers a year-round meat share through Herondale Farm. You may join at any time and they will pro-rate the cost. See our Meat CSA page on our website for more information on pickup and to download the flyer and registration information. Hanging a flyer in your apartment building. Download a flyer here. Emailing your friends or listervs personally. Use this handy dandy CSA "ad" here. Forward this email to 10 friends/neighbors, it'll be the best (non-pyramid) scheme ever! If you want to flyer at a subway stop for 30 minutes, you'd be surprised at how many people you can reach and how entertaining it is (even more so with a buddy). If you want to get more involved in the nitty-gritty of running a great CSA, contact us! If you have any questions or for more information, please visit the website at plgcsa.org or contact us at board@plgcsa.org or 347-823-1076. Noah Budnick of Transportation Alternatives met with the 71st of pedestrian and bicycle safety. I spoke to him early this morning and he felt the 71st really had it together in terms of addressing traffic safety. That's high praise coming from Budnick, who along with TA can be counted on for a realistic appraisal. The City is truly moving in the direction of increased traffic safety on all levels. Let's keep the pressure up for Parkside & Flatbush. 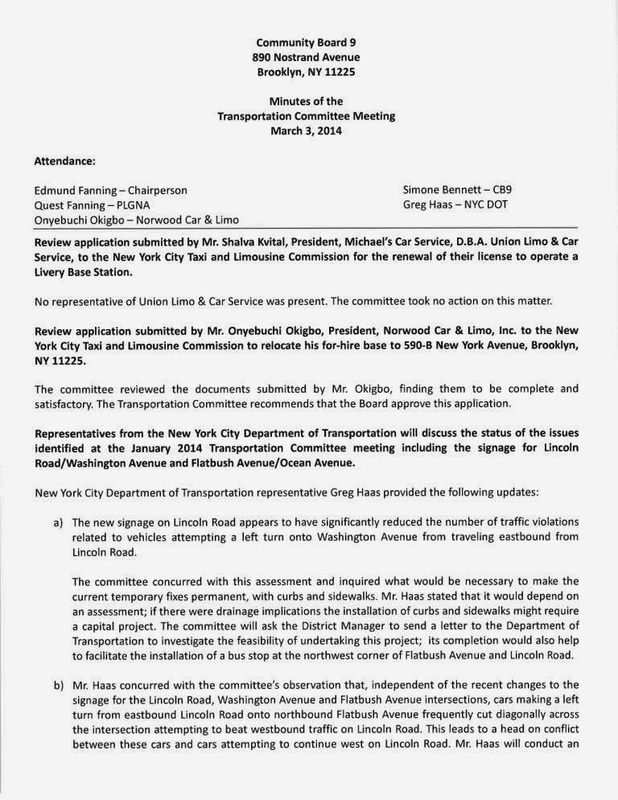 AND...committee chair Ed Fanning has submitted notes from his CB9 committee meeting. 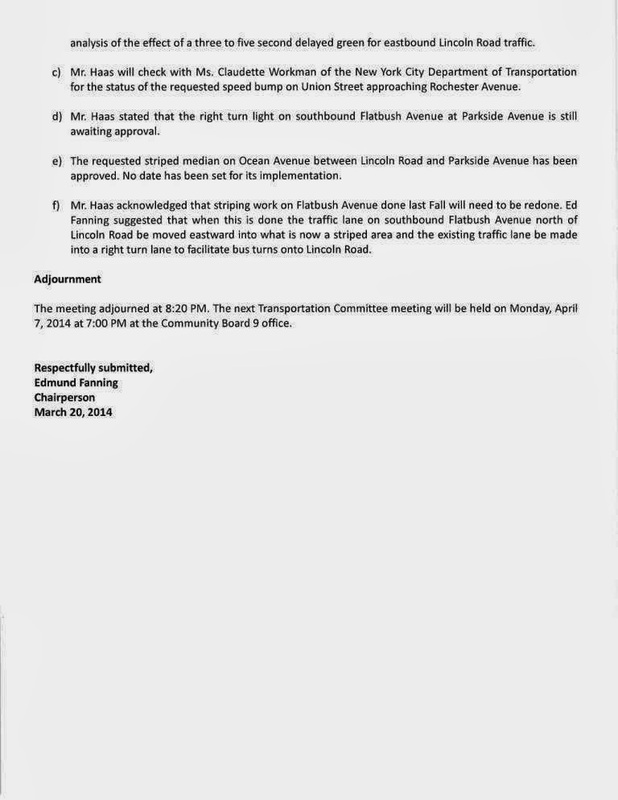 I'd call your attention to the final item, in which Greg Haas from DOT updates the committee and receives suggestions on what's a poppin' along the Flabenue since the recent traffic pattern changes. He addresses a number of concern that I've had, and that many of you have expressed as well. I would add the Ed's proposal to move the B41 express stop from the Wendy's to that Lincoln Road "bulb," the lines created to prevent eastward Lincoln Road traffic from turning left onto Washington, is pure genius. Without adding travel time to the stop by...anyone really...you create a safe passage from the northbound B41 to the train station, preventing the massive jaywalking scene between Phat Albert and the Prospect Park Station. In 1957 my wife and I bought a townhouse in Brklyn Heights. We wanted a real neighborhood with real neighbors who would share in our interests in living with improved schools, nice shopping, clean streets, personal security and the rest of all those good things that make a great neighborhood. We are still here. And so are many of our friends and neighbors from 30, 40 and 56 years ago. 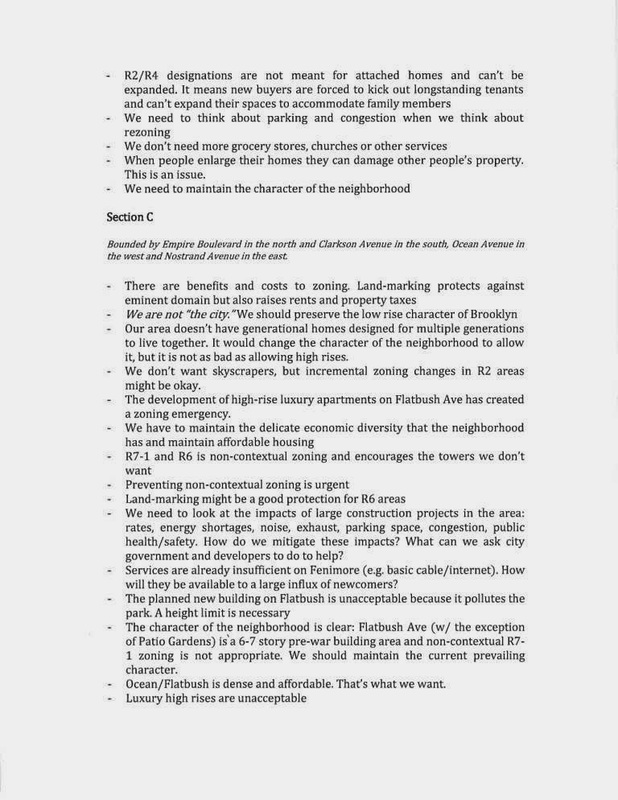 Aren't those the real values, the kind of good quality of life values that Prospect Lefferts is seeking. You don't want to be overrun by huge dormitories for Manhattan workers. What it boils down to is that you want to preserve and even improve the neighborhood. 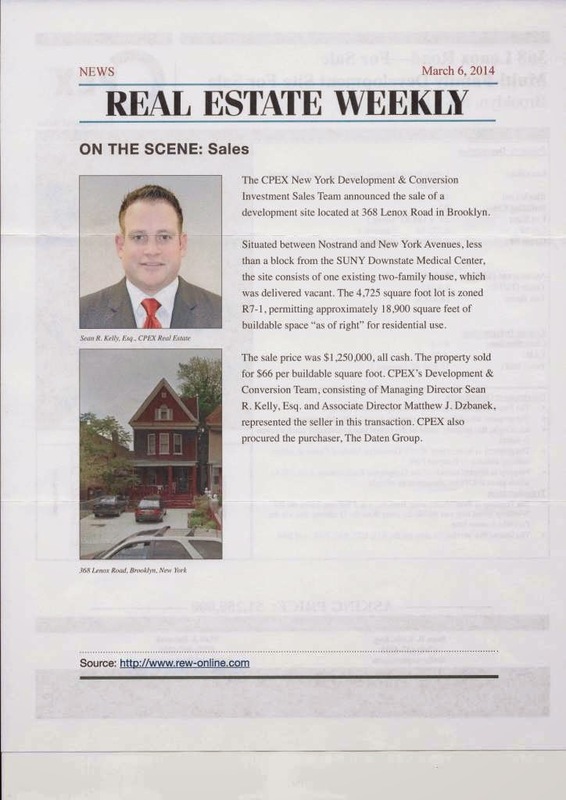 You and your blog kibbitzers would find the story of how the Heights beat off the Big Developers including the master himself --- Robert Moses --- and re-created from a pretty run-down area the solid, stable, child-rearing neighborhood we have had for decades. No more threats from over-development. And, lots of people who want to put down roots. You can see it all and maybe be inspired by the 13-minute video, "Brooklyn is My Neighborhood"
There is also a printed version of the same story. Bottom line: It takes more than costly law suits; you need a united neighborhood favoring the same fundamental values. I wish you and your fellow neighborhood protectors the best. Let me know if there is anything in our successful history that might usefully be shared with your threatened area. BTW: I am 85-years-old and am comfortably retired from a long career in public affairs. Thanks for the reality check! I wonder though, and please remind me. Was there a racial element to the Brooklyn Heights changes? In other words, were blacks replaced by whites? There were transient people of all colors. The picture then was that the St. George Hotel, which eventually morphed into a huge dorm for college students of all colors, was being used by the City as a dump for welfare and homeless folks. The once-fancy brownstones had become run-down and neglected multiple dwellings owned by absentee landlords. Color was just not an issue. Permanent ownership was the driving force. And it was good and fair all around. In other words, all anyone needed, other than a few bucks, were the motives and the willingness to take on the hard task of long time ownership. Remember, at one point in this neighborhood, Jews were not welcome. Blacks and Latinos, of course not. 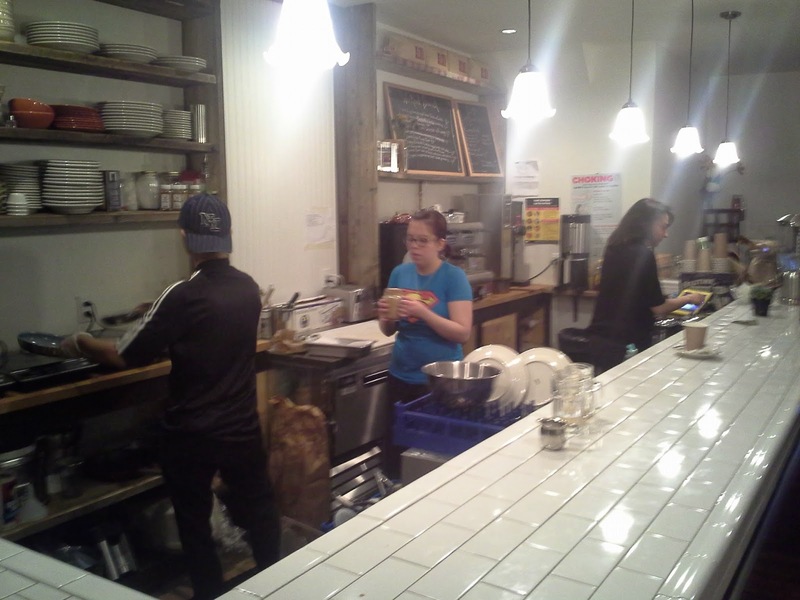 That all changed and today this is an open and welcoming nabe for anyone who wants to be a Brooklynite. Perhaps you may want to widen your horizon. Take a look at the video. I suppose in all honesty I must admit I was being a bit coy. Longtime readers of the Q will know I have a pretty firm grasp of gentrification and its history in NYC. The story of Brooklyn Heights is great lore, as is the Jane Jacobsing of Greenwich Village that immediately preceded it. It's interesting to note that the building that sold $20K in the classified ad of the video back in the '50s can now likely fetch $7-10 million. So as beautiful as the Heights is, and it sure is beautiful, to me it's become something of a museum. The people who valiantly fought to keep the neighborhood intact and protected were mostly of the middle class professional variety. The people who buy and move into the Heights now are One Percenters. No one would argue for the destruction of the Heights in favor of middle class or affordable housing - it's become a treasure of the City. But it makes you wonder, in a world that grows ever more populous, what's in store for the future of landmarking? When houses go from 8-12 people renting to just 2, 3 or 4 owning, is that helping or hurting the quest for affordable housing? Just a question, not an argument. Part II On Monday's Meeting. Or, How Dense Is Too Dense? NIBBY: Not in Brooklyn's Back Yard! Then came the meat. Rather, the meat of the matter for those for whom the Q is their hometrain. 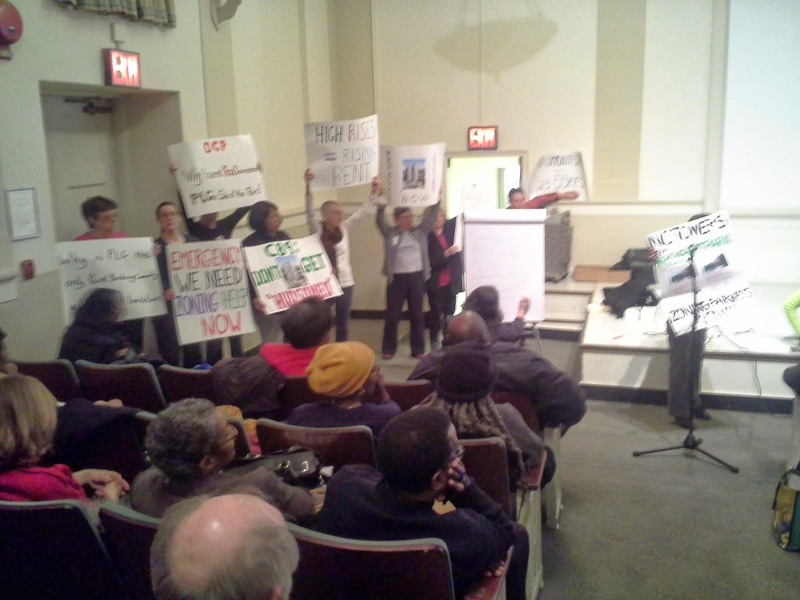 From the picture you can see that the Prospect Park East Network was out in force Monday night, placards to boot. They mean business. Suki Cheong and Celeste Lacy Davis are gifted speakers, and definitely brought an air of urgency and passion to the proceedings. They're part of the group that filed the lawsuit against the 23-story residential tower going up at 626 Flatbush, with support from PLGNA, LMA and the Prospect Park Alliance and various elected officials. 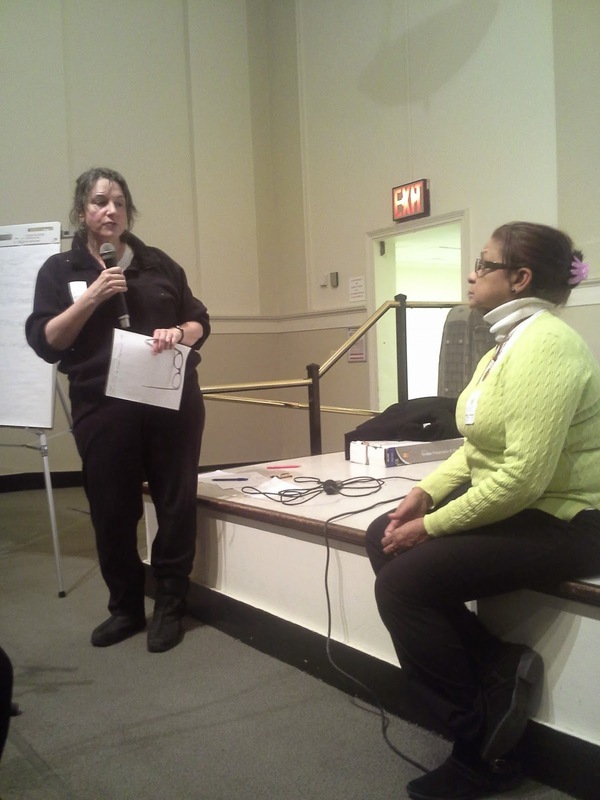 In fact, a bunch of us gathered at Eric Adams borough hall office recently to talk about options. He's concerned too. 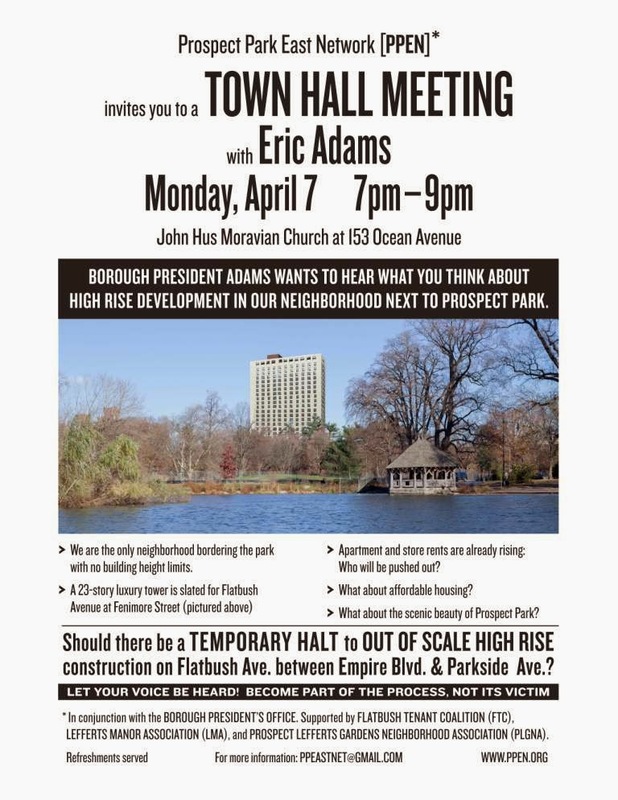 He'll be holding a town hall to talk specifically about the Flatbush/Ocean stretch and environs and what can be done about preventing a sudden spree of outsized building without warning or consultation. That's what "non-contextual as-of-right" zoning means, and that's the kind of zoning we have right now along that valuable stretch. That's what allowed the developer Hudson to come in and trash whatever precedents had obviously been set in the neighborhood, adhered to by all but Patio Gardens, because quite frankly there was a time when the City couldn't BEG anyone to build over here, and so they cared not about context. Basically our zoning says come and do whatever you want, we don't care. Two officials from the Department of City Planning were there, taking notes, and I hope some of the evening's proceedings sunk in. I suspect they did. How dense is too dense? Those of us from the Parade Grounds to Nostrand and up to Hawthorne are living in, and I'm quoting here, the densest neighborhood in Brooklyn. A look at the census will bear that out. There was a reason a lot of us fell for Brooklyn. And pretty soon, some of those reasons will disappear. I'm not bailing, I'm just saying. I'm a committed Brooklynite, committed to the great experiment as much as anyone. Once the tall buildings and the arena and the million dollar apartments started popping up, I realized my experience of the "outer borough" had started to radically dissolve. We've hit a moment, in some neighborhoods, of true diversity, but these were the once nearly all black neighborhoods, and the moment is fleeting. The money is loading the dice and rent laws can't hold back the tide (sorry for the mixed metaphors). There's a reason that the black population is quickly declining. Actually it's growing Upstate. Anyone remember that story I related about social service workers telling people down on their luck to move Upstate where there's still a possibility of being able to afford to rent a place? Seems the advice is being heeded. 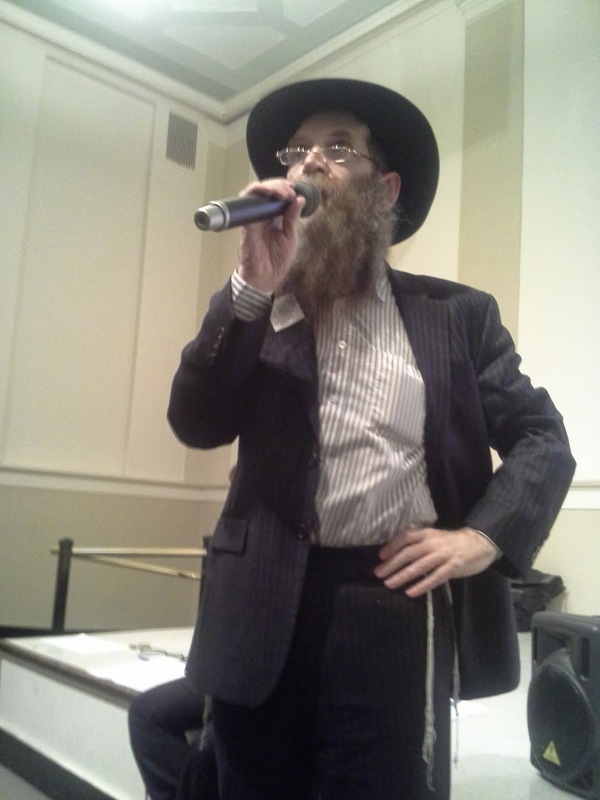 Despite the fact that they were both presented on the same night, I truly don't think the issues brought by the Chabad community and the issues of encroaching development in Lefferts belong in the same conversation. That's a freak of City district-making, that we must decide these things together, and shouldn't be allowed to create antagonism between folks. Not at all in fact. Both issues have to do with the zoning, but that's where the similarities end. 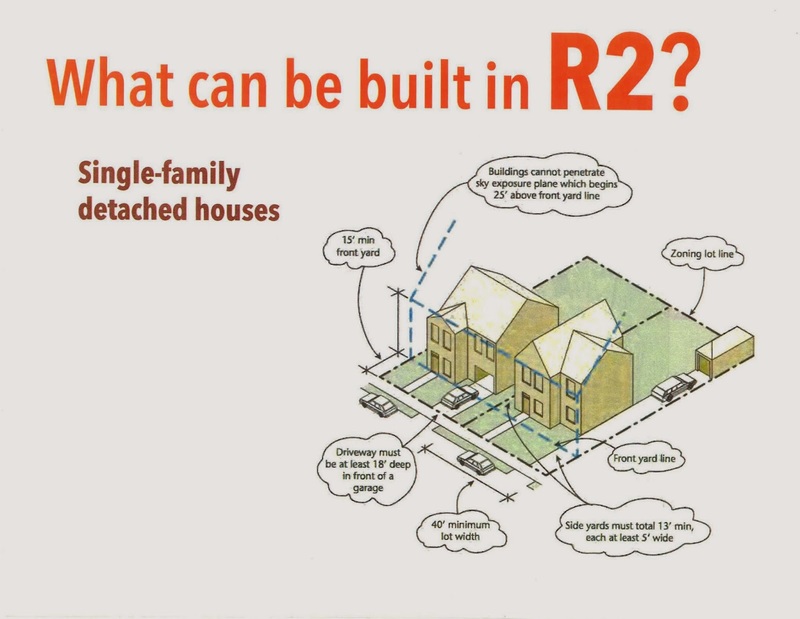 I have been told by Richard Bearak, the land use guy for the borough president, that there are ways to allow some modifications to homes in a low zoned area without allowing tear-downs and out of context construction. 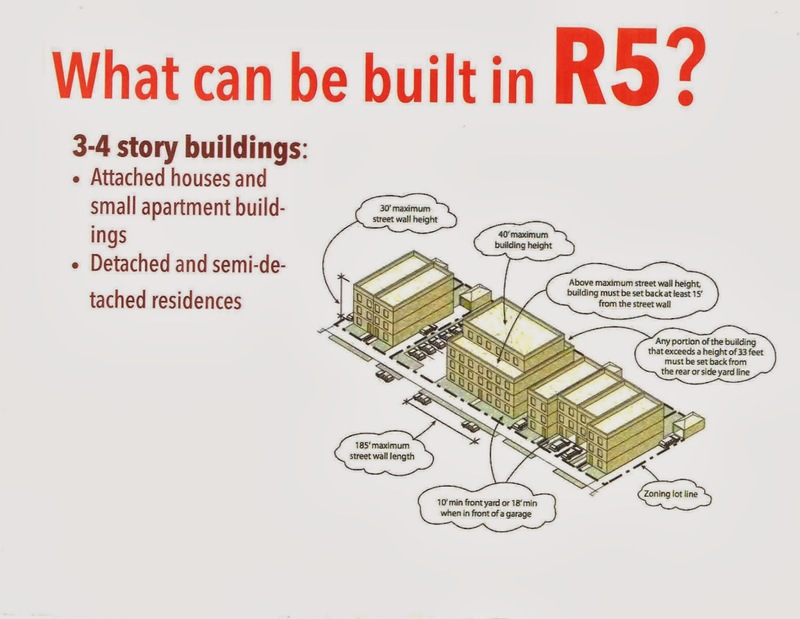 A zoning like R6b (don't quote me) with a text addendum could handle it nicely. 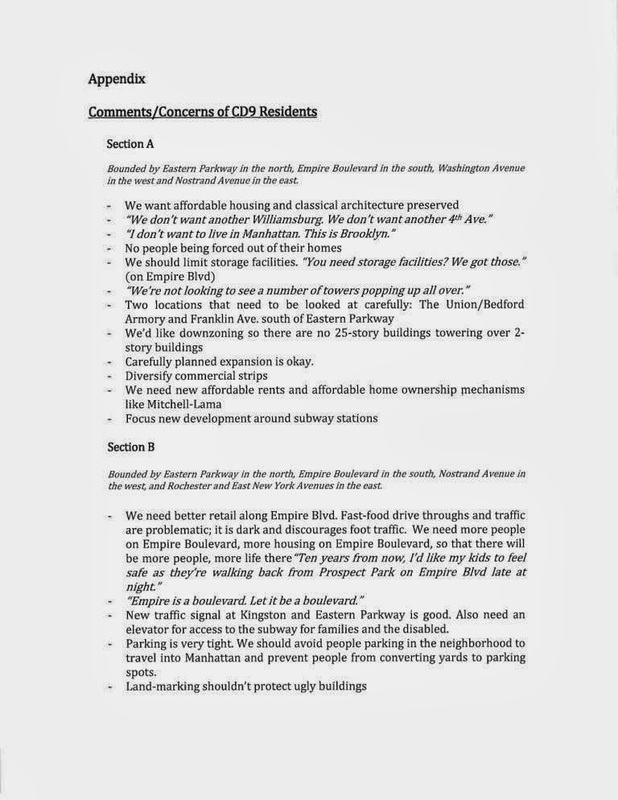 Were a significant majority of folks on certain blocks in Crown Heights to agree to such an arrangement, I don't see how it's different than a majority of homeowners wanting to landmark. I know, I know, they're beautiful old buildings. But they ARE people's homes too. If the folks don't want to landmark, are you saying we should force them? 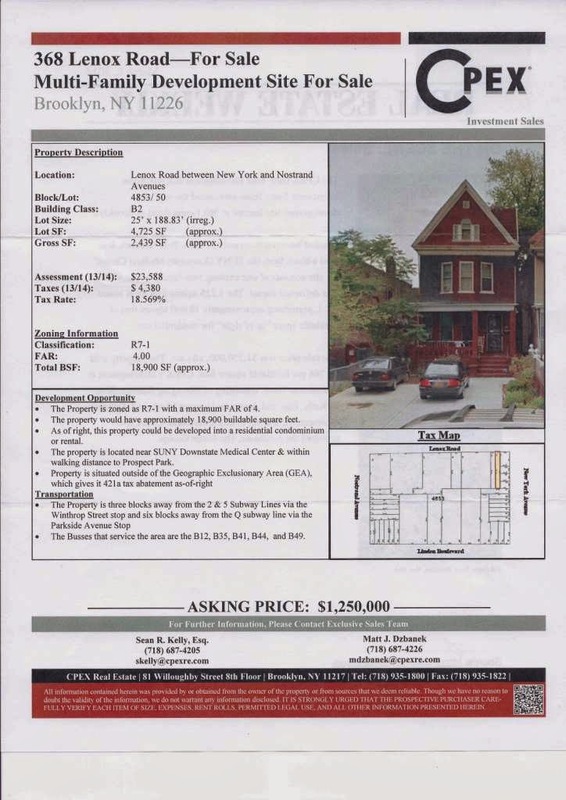 Trust me, even if no more streets in Brooklyn get landmarked, we've got a ton of brownstones in the system, and I happen to be on the side of the more the merrier! But don't force people to conform if they don't want to. That's divisive, and given where we're coming from, 20 years after the riots, let's just not go there, okay? As to PPEN's claims of an emergency, damn right. When a neighborhood "arrives" in the NY Times Real Estate section, the game's basically already a blowout in the fourth quarter, but...I admire the tenacity and spirit of the group and their message. I admire that they took their grievance to court, and brought so many others along for the fight. I think anyone who thinks they're kidding around need only look into Suki's eyes when she's delivering a speech and see she ain't one to back down! That goes for the whole bunch of PPEN's leadership. A tenacious bunch if ever I've seen one. Lastly, I'll say this. When gentrification is the matter of one seller and one buyer, I can hang with that. When it's about a bistro and coffee shop opening up, cool. But when gentrification becomes a money-making juggernaut, designed by politicians and businesses outside the neighborhood, sowed with cynicism and contempt, and yes racism, I ain't into that. Please real estate people, don't give me that line about how "it's the diversity of Lefferts" that's so appealing. If it was so appealing, you would have built your tower years ago. You've only been given the greenlight now by the money players because enough white people are living here now that you can rent at the right price to make big bucks. You've watched it work in other neighborhoods and now, as hearsay tells me a Hudson exec said, it's time to cash in. 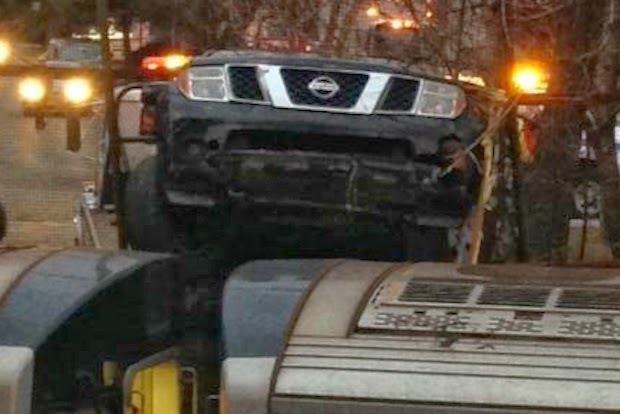 ROOKLYN — An out-of-control driver crashed her SUV over a concrete barrier and through a chain link fence before landing the front wheels on top of a Q train early Wednesday morning — then fled the scene, police said. 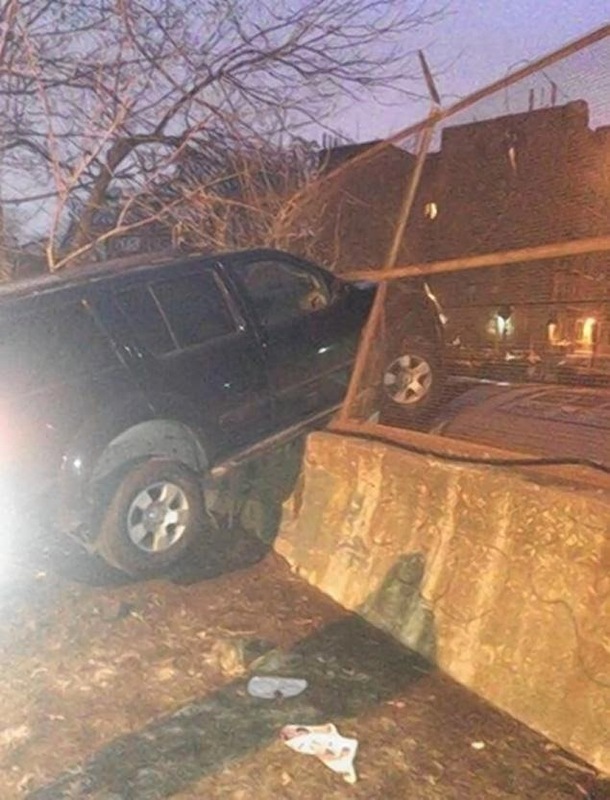 The woman, whose identity was not released by police, was driving a Nissan SUV east on the quiet, cul-de-sac Albemarle Road at East 16th Street just after 5 a.m. when she failed to yield to the dead-end signs, mounted a small mound of dirt, drove up the waist-high concrete wall and crashed through the metal fencing that separated the roadway from the aboveground train tracks, police said. A southbound Q train with 50 passengers aboard left the Church Avenue station about 5 a.m. and passed Albemarle Rd. — just as the woman's front tires crashed atop the train and ground to a halt, according to an NYPD spokesman and a witness. The woman who was behind the wheel fled the incident and was still on the lam as of noon Wednesday, the police spokesman said. Neighbors said they slept right through the crash and had no idea how the woman was able to mount the fence. They said they awoke to the sound of helicopters overhead. The subway car involved in the Wednesday crash sustained only minimal damage, the MTA said. 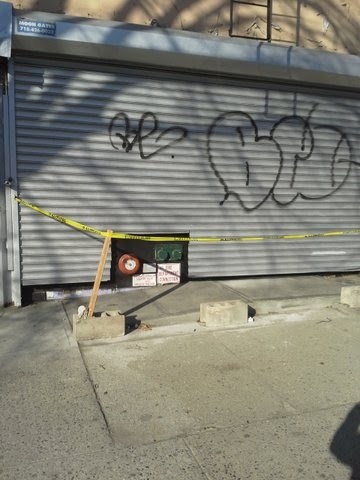 No injuries were reported, an FDNY spokesman said. A rescue train retrieved the approximately 50 passengers who were on board at the time and brought them back to the Church Avenue station, the MTA said. The SUV was removed from the scene about 9:30 a.m., workers there said. MTA crews were working to reinforce the fencing on Wednesday morning. Nice turnout last night at the BBG auditorium. It's always a bit DIY with these community building things, but I thought the proceedings were handled really well by Pearl Miles, District Manager. 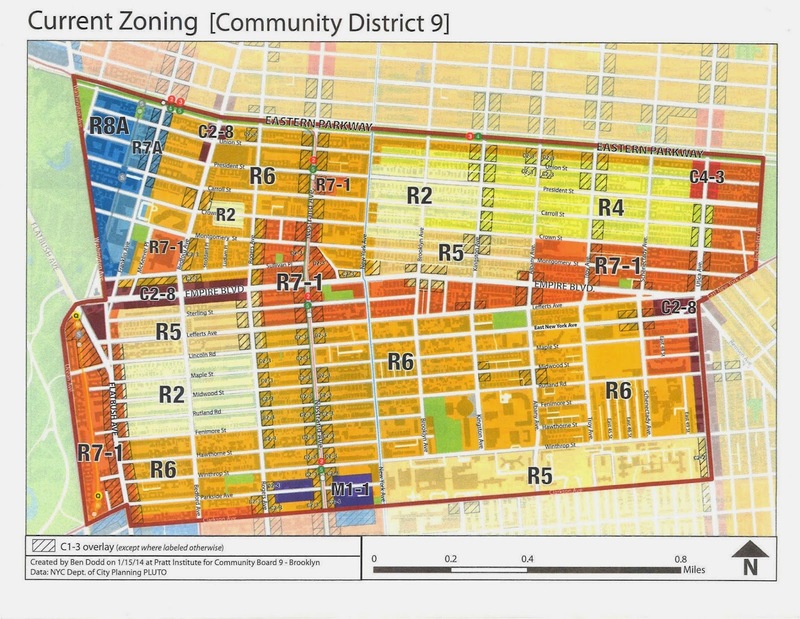 The CB9 intern Ben showed some slides (I'll put 'em up as soon as I get a copy) of the zoning in the neighborhood. He followed a long-standing tradition at the CB of cutting up the district into quarters. You gots your NW quadrant (Botanic Gardens, Medgar Evers) your NE quadrant (large Hasidic population), your SE quadrant (Kings County Hospital and Dodgertown) and your SW quadrant (Lefferts, home sweet home). Last night, Nostrand was the east/west divide, and Empire the Equator.) Ready to roll? We signed up to speak by quadrant. Quadrant A, B and D (NW, NE and SE) had just a few names all told. Quadrant C? We had to stop taking names just to get the party started. "Lefferts" was out in force, and not just the burgeoning movement known as the Prospect Park East Network, who were there with bells on (and signage). It was a real nice mix of folks, and given the fact that the NY Times has said we're now "on the map," we were all trying to look our best for the folks from the City Planning Commission in attendance. So much pressure to live up to the hype! And what did folks have to say? It WAS a listening session, and so most of us listened. A few scattered "so why don't you move"s didn't spoil the whole show, though when you consider how strongly people feel on these issues of development and land use, it wasn't too, too bad. I've never been a fan of the "why don't you move" line anyhow, and not just because it's disrespectful and belittling. Mostly I just find it, well, not very creative. If you're gonna put somebody down, you should really go for the jugular with a witty barb, don't you think? I'm gonna use some of the candids I took from the front row to jog my memory of what was said. One of the first speakers was Evelyn Tully Costa who I'm pretty sure is a landscape architect and lives in quadrant A, the NW. Beautiful area up there, if you haven't walked the streets above Empire you're really missing something. Anyhoo, she's super pro-landmarking, and bases a lot of her argument on aesthetics. And of course, she has a point. Brooklyn has some drop-dead architecture, and many of its blocks are historic and one-of-a-kind. 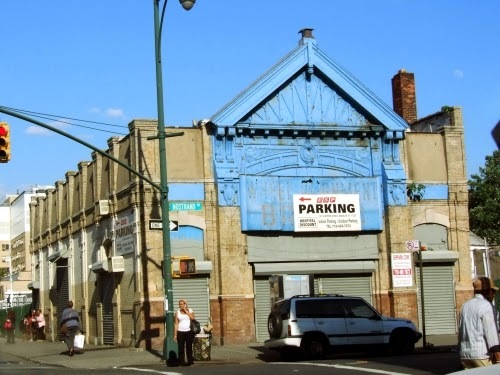 It would be a shame if ALL the blocks of Brooklyn got hacked to bits for a quick buck, and Landmarks Preservation is there to lend a hand to areas that are willing to trade freedom to do as they please with their house for a bit of insurance against the whims of time. 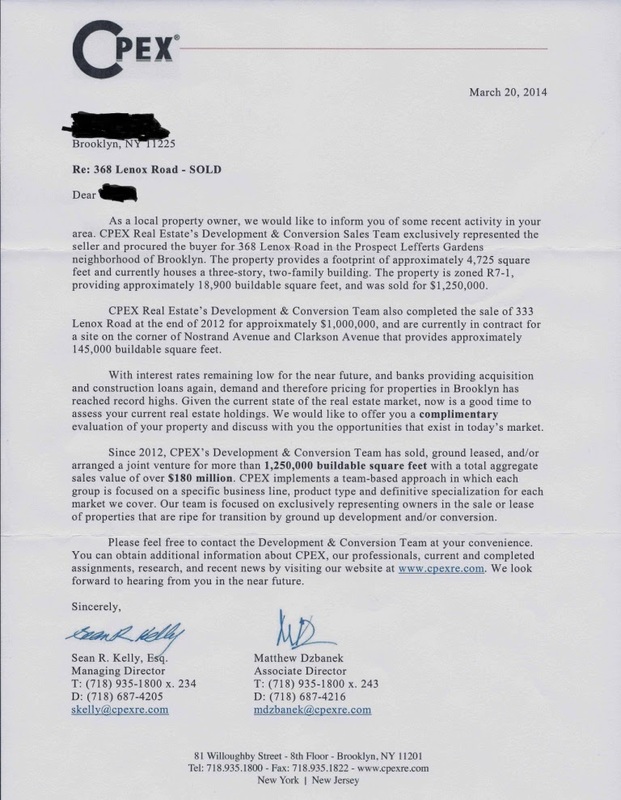 The Q digs the landmarking thing, and congratulates Chester Court on moving in that direction with those sweet dead-end Tudors that SHOULD have been part of the Prospect-Lefferts Gardens Historic District but were rejected because they weren't contiguous. But the Q stops short of suggesting that ALL pretty blocks be landmarked because, well, if the majority of people on the block don't want it Landmarks isn't going to designate it. A pity some will say. I say, live and let live. Your landmarked block just got prettier because some other decided to Fedderize it. Then came an emerging firebrand of CB9, Dwayne Nicholson, of beautiful Crown Street in the NW, tween Bedford and Rogers. Dwayne would like to see most of the NW downzoned, and doesn't like the way chunks of his nabe are being sold off and diced up. He'll also be quick to tell you he's no fan of Medgar Evers college either, but that's got a long backstory I really shouldn't get into right now, though another fight over M.E. 's planned closure of Crown Street from Franklin to Bedford for a grassy quad is about to heat up again. 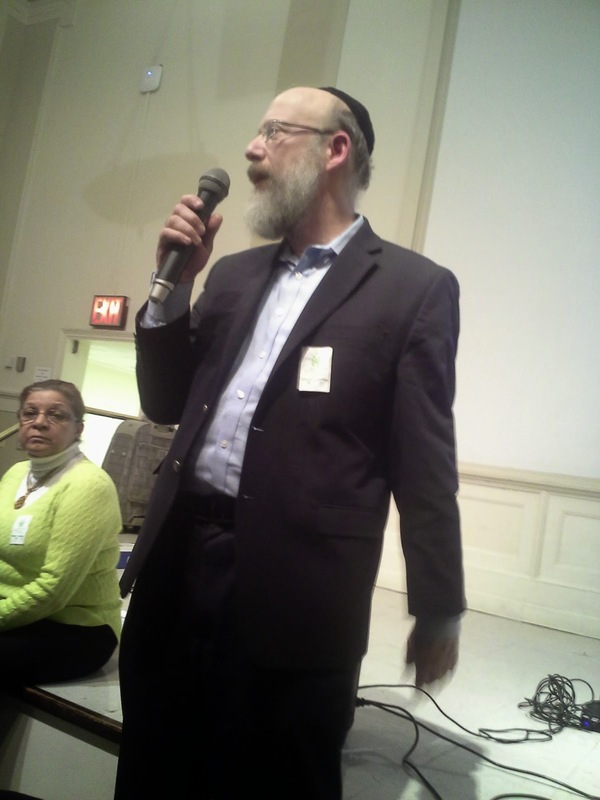 The next three gentlemen to speak were, in order, a guy named Mendel something (couldn't make it out, pictured), Shalom Goldstein president of the Kingston Ave Merchants Association, and Eli Cohen, (pictured) exec dir of the Crown Heights Jewish Community Council. The beef over there, for the Orthodox anyway - can't speak for the rest since they weren't really there last night - is that the restrictive zoning of R2 and R4 doesn't allow them to do ANYTHING with their homes, since they're already "overbuilt," a term that means they've already met or exceeded what's legal for that zoning. 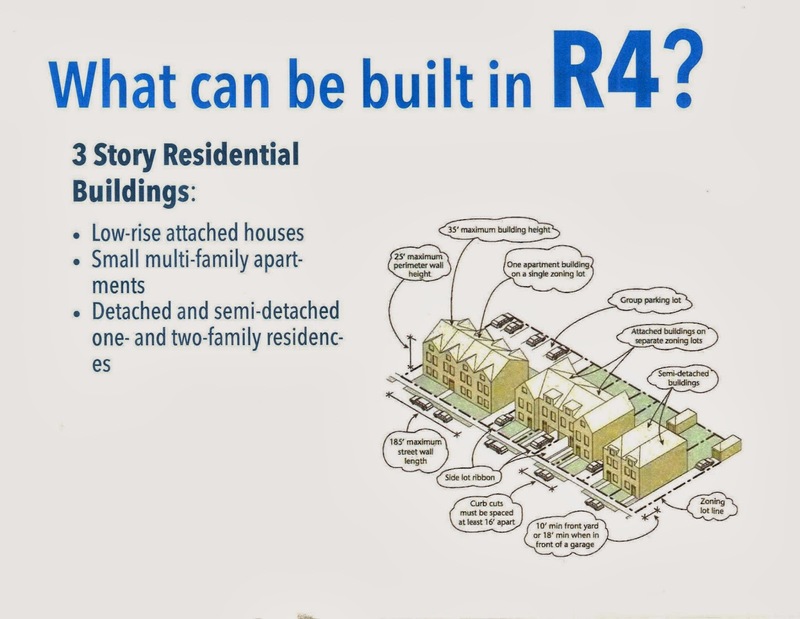 The R2 designation is actually reserved for larger free standing homes, like the ones they have in Ditmas Park, sorry, Victoooorian Flotbush. The story I heard on how some of those blocks got R2 is this - a lot of mucky mucks used to live in those beautiful mansions along Union Street, and convinced other mucky mucks to give them the lowest possible zoning to preserve their property. I'm sure Montrose Morris would know the truth! I think of her as Encyclopedia Brownstone. A gentleman named Frank Hebbert spoke, in a British lilt, about the need for safety along certain streets. He was charming in that way that Brits are, so I googled him and found the below video, which oddly enough deals with a pretty nifty idea for boarded up storefronts IN the NW sector, called Supertable. He came up with it with Haruka Horiuchi, his partner in crime I'm supposing. For halftime, check it out, cuz I'll come back with Sector C (the SW) in my next post. Don't go away, we'll be right back! For those unfamiliar with the old Caledonia Hospital's backside, this is it. They kept that old circular thingy (architecture term, you wouldn't understand) but added a luxury drop-off or pick-up your passengers thingy and bunch of greenery. Once again, the people in the rendering are decidedly thin. What race? Hard to tell. They seem pretty gray, though she seems to be wearing a suit, holding a briefcase and wearing heels. That's not something I see a lot of around here. Do they live there? Did they just walk off and leave their car in the pick-up and drop-off thingy? And what meeting are they going to? So much tension in this picture. UPDATE: The Q has since learned that the child broke away from his mother and ended up between two "parked" cars. One had a driver and was moving. I relate this story since many people asked about speeding vehicles, but that was not the case in the horrible accident. The driver initially drove off but circled back. The child lived for a short while but succumbed fairly soon after the trauma, as he was pronounced DOA at Kings County. This is actually the third awful car-related tragedy that the Q knows about this past year - one in Ft. Greene, one in Park Slope, and now this (I know there are others but I can't recall offhand). It's something I think about all the time with small children - it really is dangerous out there, and kids need to learn to be afraid of the street under ANY circumstances. It's something we all take for granted - the body instinctively knows when danger is present, after many repeated experiences. But the kids aren't so well developed. I'm so sad for the family, and for the driver, who I'm sure will be severely traumatized. It really is a nightmare come true. Today, March 16, 2014 at approximately 9PM a 5 year old boy was struck by a vehicle on Empire Blvd. between Nostrand to Rogers Avenue. The child was rushed to Kings County Hospital where he succumbed to his injuries. The accident is currently under investigation by the NYPD Highway Accident Investigation Unit. Please remember the family in your thoughts and prayers. Happy on Flatbush - What Else's New?